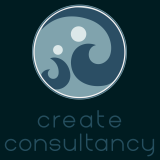 Through Create Consultancy (Communal Responsibility in the Environment and Access to Education) I offer my services to academics, governments, institutions, NGOs and SMEs. My main area of expertise include research, ICT / Knowledge Management (KM) and translation in Dutch, English, French and Spanish. I registered my own company Create Consultancy at the Dutch Chamber of Commerce in Utrecht in 2008 (no. 30236836). In 2017 I registered as an independent contractor (‘Autonomo’) on the Canary Islands in Spain. My clients include governments, consultancy firms, several Non Governmental Organisations and businesses. I strive to contribute to the realisation of the Sustainable Development Goals. I have been a member of Nedworc association and of Partos since 2010. If you have an assignment that requires the presence on site, please do not hesitate to contact me to inform about possibilities.